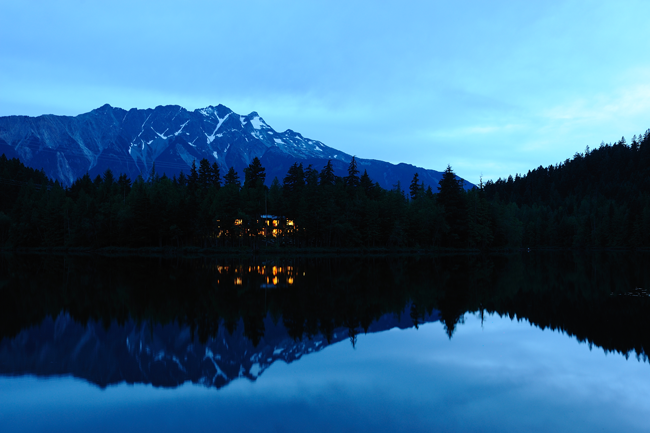 Welcome to an accommodation of the finest character, located very closely to Whistler, and a little over two hours from Vancouver, B.C. Canada. Our exclusive property is ideal for weddings, re-unions, private parties and functions of all kinds. 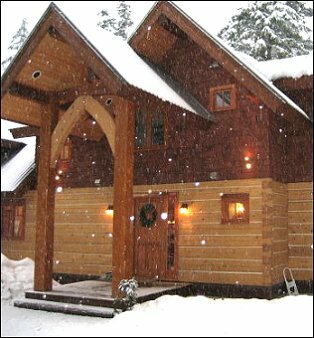 Drumkeeran House is a splendid lakefront Celtic Country House of outstanding character, a private resort set in the spectacular locale of the Coast Mountains of British Columbia, and offering the warmth and ambience of a bye-gone era, hand in hand with every luxurious comfort of the 21st century. Seamlessly combining luxury with adventure, Drumkeeran House is a five star country retreat, in the manner of a Scottish hunting or Irish fishing lodge, situated on the shores of a sub-alpine trophy fly-fishing lake and surrounded by forest and mountain. This world class holiday home is a gateway to the wilderness and to a four seasons adventure playground - the perfect venue for weddings, family reunions, special events and smaller corporate gatherings. The view of Drumkeeran House from Ivey Lake as the sun has almost set. 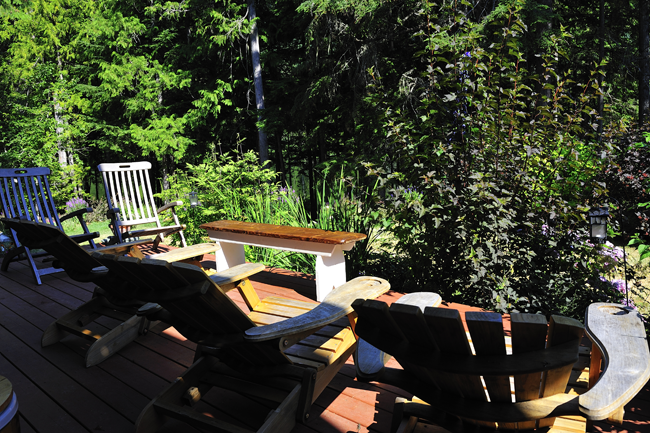 One of the relaxing outdoor areas, sitting on the deck, looking out to the garden and forest. 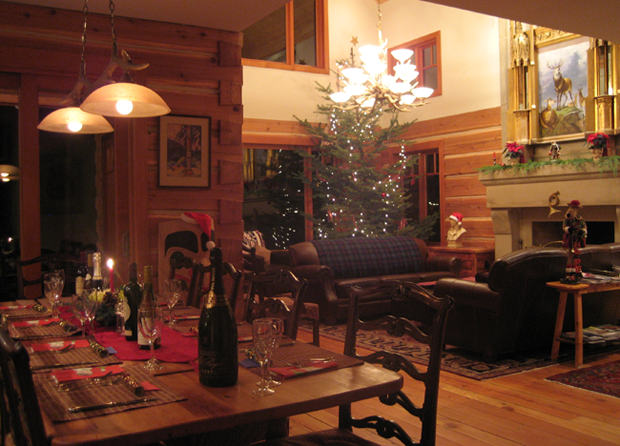 Drumkeeran House is well suited for all holidays, here is one of our setups over Christmas. 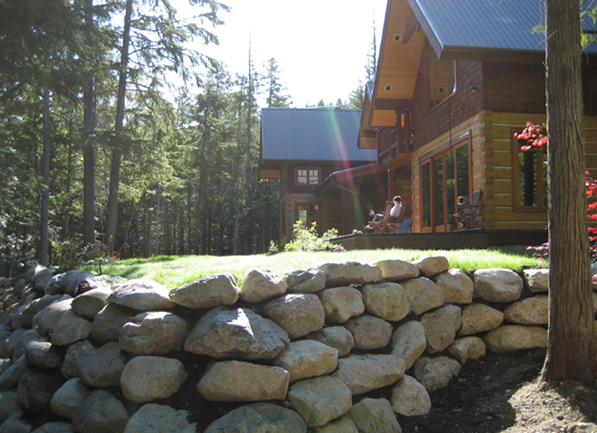 One of our guests relaxing on the deck, reading during Spring.